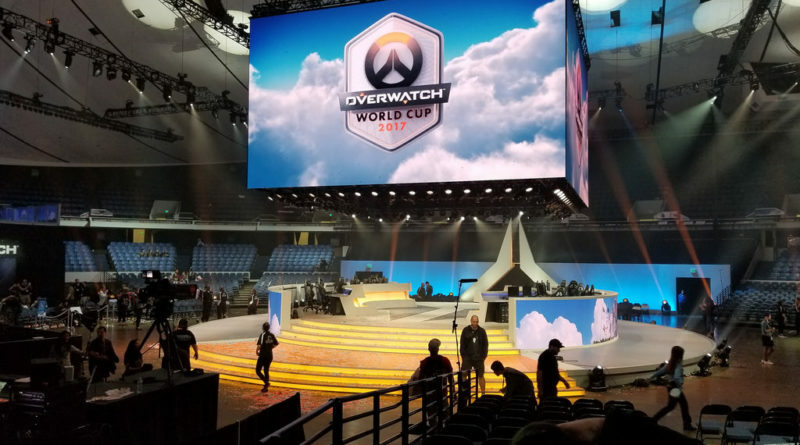 The Overwatch World Cup semifinals started off with an intense match between South Korea and the United Kingdom, which might as well have been the gold medal match. Though the former ended up taking the victory and leaving the latter with zero rounds won, the teams managed to tie two rounds consecutively and put any viewer on the edge of their seat. The next match between Canada and China was, to many people, a surprising one. Canada had strong players from OWL and a 4-1 stage record, only losing to the U.S., and winning 4-0 against every other team. China only barely made it past their stage, with several 3-2 matches, while their OWL team, the Shanghai Dragons, had an astounding 0 win/40 loss record last season. Still, China used never-before-seen strategies that Team Canada had not prepared for, so they advanced to the Grand Finals with three consecutive round wins. Before the final match, however, was the bronze medal battle between the United Kingdom and Canada. It was another exciting back-and-forth, as both teams played exceptionally and responded to every lost round with a win on the next one, but Canada was the one to grasp third place by winning 3-2. In the end, the Grand Finals were between China and South Korea. Though the former had promise and a lot of momentum after beating Canada, they were faced with the nearly impossible: beating the team that had never lost a match before. With a 3-0 victory, South Korea won their third consecutive World Cup and proudly displayed their 1st place trophy for the world to see.